As we talked about in great detail over the last six months, it was starting to appear as though the name for Universal’s 4th gate (3rd dry park) was going to be “Universal’s Fantastic Worlds.” Today, an image of what looks to be some type of slide from an internal presentation was leaked on Twitter. 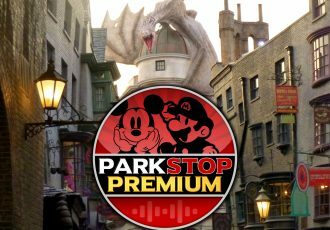 It shows the new theme park name to be exactly what we thought it would be. Several names have been trademarked in recent months, including this one and another for “Universal’s Epic Universe.” Other names were also reported to have been part of guest surveys to see which of them had the greatest appeal, including: Legendary Lands, Legendary Worlds, Epic Worlds, and DreamPark. Personally, if the name ends up being Universal’s Fantastic Worlds I think we got the best of the bunch. Ladies and gentlemen, I give you: UNIVERSAL'S FANTASTIC WORLDS! 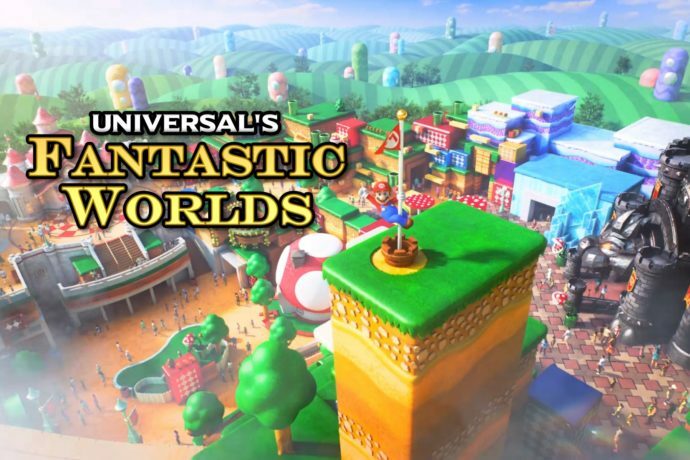 The trademark for “Fantastic Worlds” was filed by Universal in June of this year, and we reported on it in July. 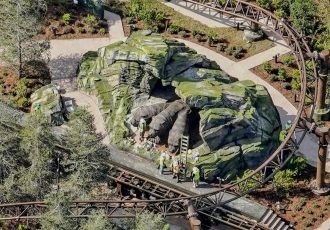 We’ve speculated on what some of those “worlds” may be in the new park since then as well. DreamWorks Animation properties and Super Nintendo World seemed to be the front-runners. Seeing Super Nintendo World in the leaked image all but confirms that the Mario based land and attractions have in fact moved away from KidsZone at Universal Studios Florida and will appear in the new park instead. 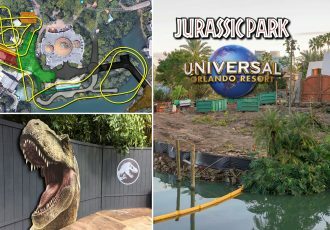 Over the last few years Universal Orlando has been reacquiring around 1000 acres of land, (most of which was originally owned by the company, but sold off nearly two decades ago by the resort’s prior owners). 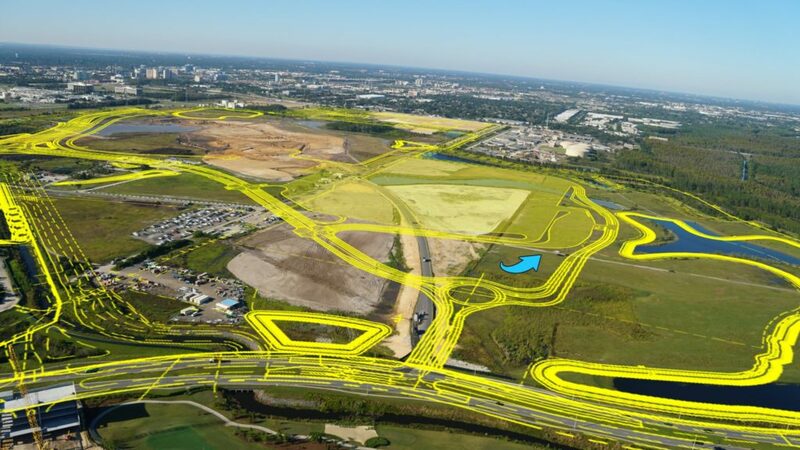 Recently, permits and land development plans were discovered by Rich Bilbao, showing how new roads and a 5000+ car parking lot will be built as one of the first stages of construction. 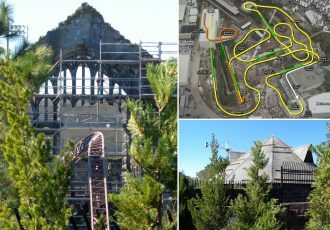 These are some of the first steps to creating a whole new theme park. 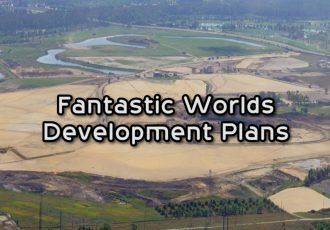 See our recent podcast for more details on the land development plans as well as all the properties and rides we expect to see show up at Universal’s Fantastic Worlds. Of course, it is still early and things like the name could change between now and an official announcement. Stay tuned for more breaking news and construction updates for this massive new project. Hang on tight, it’s going to be a wild ride!